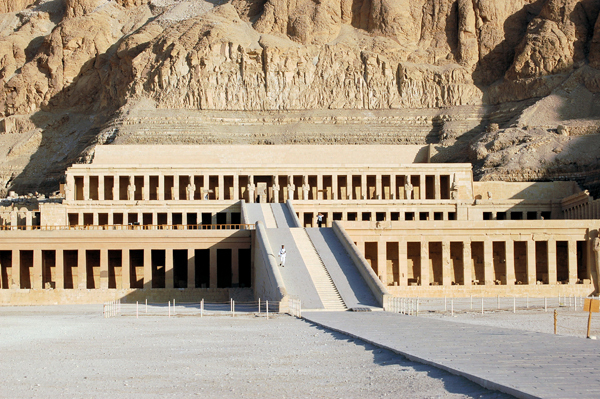 Pictured above is a mortuary temple built for the female king, Hatshepsut, who ruled some 3,500 years ago. She was among her country’s most successful rulers, reigning for over 21 years. The temple is located at the base of towering cliffs at Deir el-Bahri in the Theban necropolis, not far from the Valley of the Kings. After her death, Hatshepsut’s successor had her image and name stricken from most monuments and she was lost to history until modern times. Southern Egypt is called Upper Egypt because it’s upriver from northern (Lower) Egypt. 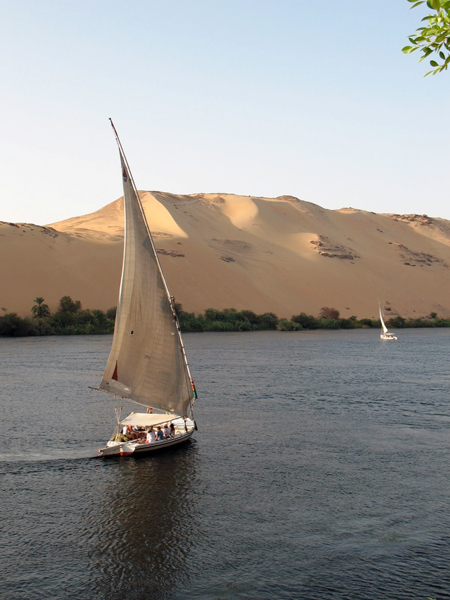 The Nile is one of the rare rivers that flows northward, from central Africa to the Mediterranean Sea. Over 60 acres of colossal statues, obelisks, relief carvings of pharaonic adventures and pylon after pylon after pylon (10 in total) make up Karnak Temple. 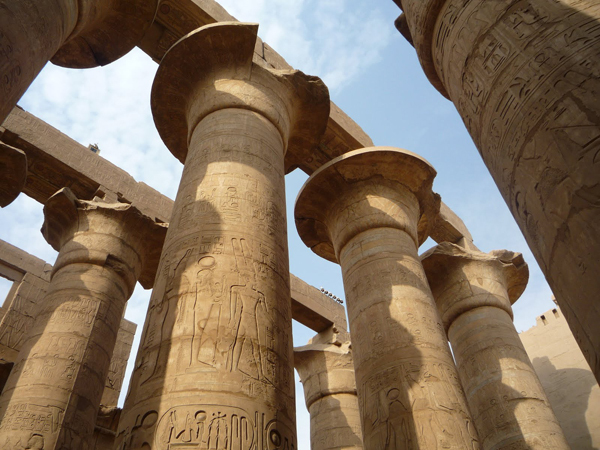 The Hypostyle Hall is Karnak’s most famous feature, where the central aisle is lined with 70-foot columns, backed on either side by a forest of 30-foot columns. It’s literally jaw dropping. Relief carvings cover the columns and traces of original paint are not hard to find, especially if you look up. The mortuary temple of one of Ancient Egypt’s very few female pharaohs is located at the base of towering cliffs at Deir el-Bahri in the Theban necropolis, across the Nile from Luxor. 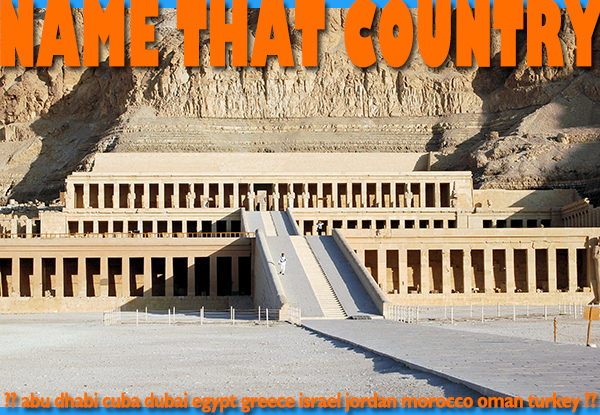 It’s a stunning setting and the temple design is quite different from other Nile Valley temples. A valley deep within the mountains on the west bank of the Nile, across from ancient Thebes (modern Luxor), holds the burial grounds of New Kingdom pharaohs, their families and members of the nobility. 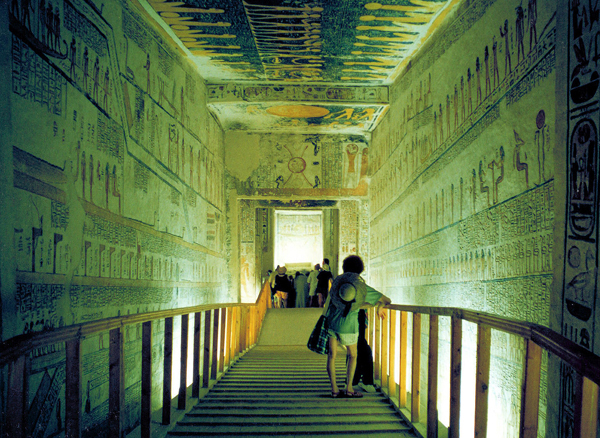 To date, over 60 tombs have been discovered in the Valley of the Kings. 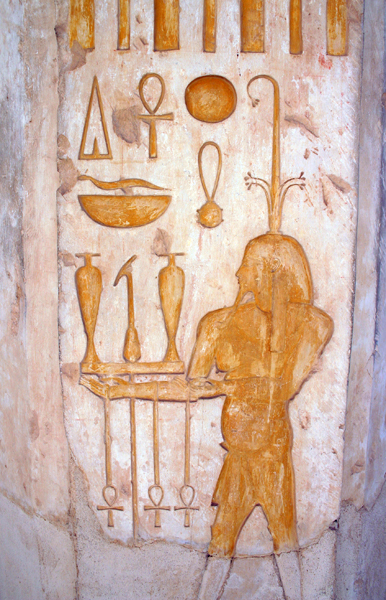 In many of the tombs, walls and ceilings are painted in scenes from the life of the tomb occupant, happy experiences to be carried into the afterlife, as well as prayers and spells. The way to the afterlife was treacherous; and tomb paintings envisioned a successful passage, with the help of various gods. The temple of Isis, also known as Philae Temple, was originally located on Philae Island in the Nile. 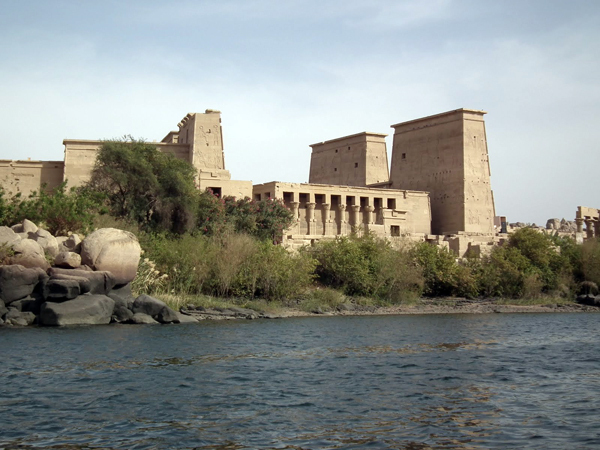 In the 1960s, Philae Island was largely submerged in the new Lake Nasser reservoir, so the temple was dismantled and moved to higher ground on Agilka Island. Nevertheless, the temple is still known as Philae. We don’t recommend swimming in the Nile. But a quiet sail on a traditional felucca will get you close enough to the water to dip your fingers.